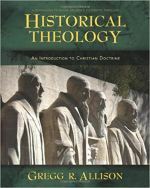 Are you looking for quality, authoritative information on seminary or divinity schools? If so, you've come to the right place. This site is designed to help anyone who's interested in attending seminary (or divinity school) or maybe just wants to learn more about theological higher education. You'll find numerous pages that address typical topics as well as common questions. You'll also find brief introductions and fact-sheets on several schools. There are many places on the site to submit questions, so please feel free to do so. Please note - this site is intended to be non-partisan. There are a wide range of seminaries and divinity schools listed, from very conservative to very liberal. The goal is to help you find the right school for your needs, regardless of where you identify yourself on the theological spectrum. For example, the school profiles are intended to reflect the school's own presentation of itself. Schools that stress their belief in the Bible as the literal word of God will fall into the conservative or very conservative camp. Similarly, schools that stress social justice, inclusivity, sexual diversity, and so forth will more likely be identified as more liberal. Neither of these terms are meant to be restrictive or judgmental, merely descriptive. How you use this site depends upon what brought you here. If you know that you want to pursue graduate theological education but are curious about what makes them distinctive, then you should likely begin with the Seminary Listings section. If you're only vaguely knowledgeable about higher theological education, then it's likely best to begin with the various articles to the left and read them carefully. One section of the site to read carefully is the FAQ page, where you'll find answers to some of the most common questions that potential seminarians ask. If you have a question yourself, you are more than welcome to use the contact page to get in touch with the webmaster and submit as many questions as you like. All questions are answered in the order received. The largest section of the website is devoted to brief profiles of various schools. You may search for schools alphabetically, by geographic region, or by denominational affiliation. If there is a particular school not listed that you'd like to see a profile on, please let us know. If you would like an individual consultation on attending or choosing a seminary, please use the contact form to the left to ask any questions you might have. What is seminary? You might find yourself asking this question if you're new to theological education or just aren't sure what's involved in preparing for ministry. Why Attend Seminary or Divinity School? There are are actually numerous types of seminaries available. I will have pages devoted to each kind I discuss below, but hopefully this brief introduction will prove useful. Divinity School vs Seminary - What's the Difference? If you're interested in seminary or divinity school, then you may wonder about the difference between the two or if there even is a difference. Interested in preparing for seminary studies? If you already know that you are interested in attending seminary, you might be curious about the best way to be ready for seminary. Paying for seminary is a concern for many pre-seminary and seminary students. Unless you happen to be independently wealthy or a friend of Bill Gates, you have to find a way to pay for seminary. If you're curious about the various seminary degrees offered by most seminaries and divinity schools, hopefully the list here will help you sort through the forest of acronyms! For the curious student, the wide range of seminary courses is one of the most exciting things about attending seminary. Here is just a quick overview of the types of courses you'll encounter. Many students want to attend seminary online. Given how popular online education has become in the past few years, this desire is understandable. If you're interested in attending seminary or divinity school, you likely have many questions. The Seminary FAQ here should answer some common questions, but if you have more, please let me know! This page contains a list of seminary schools by alphabetical order, geographical location, and theological affiliation. The recommended reading list below contains books on a variety of topics that any potential seminarian, seminary graduate, or interested student of theology should consider studying carefully. The list of unaccredited seminaries was not something that I arrived at lightly. If you have any comments or questions, please submit them here. This page contains information about the site's creator, qualifications, and background.